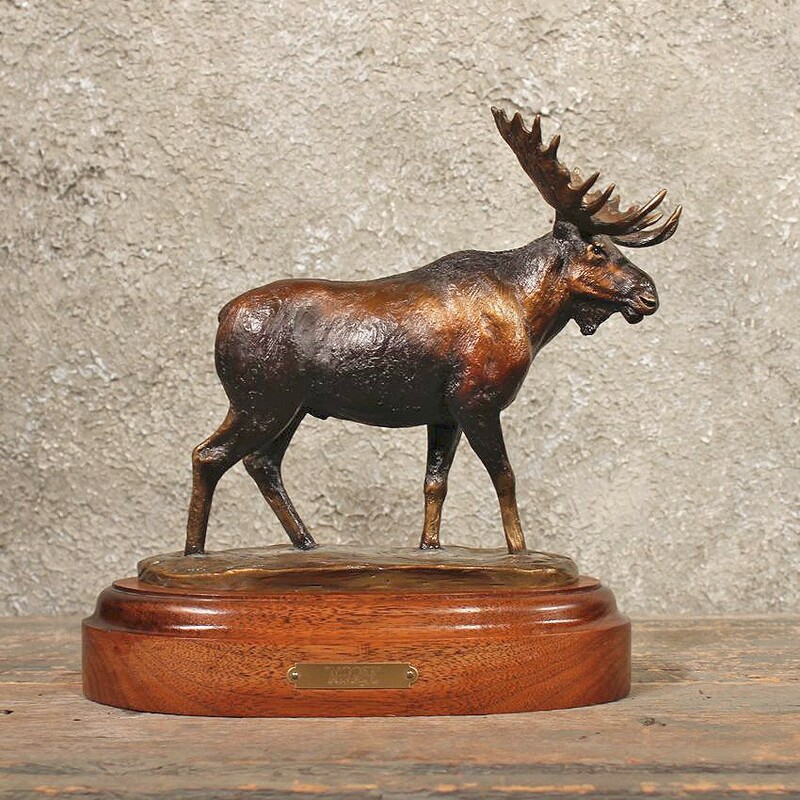 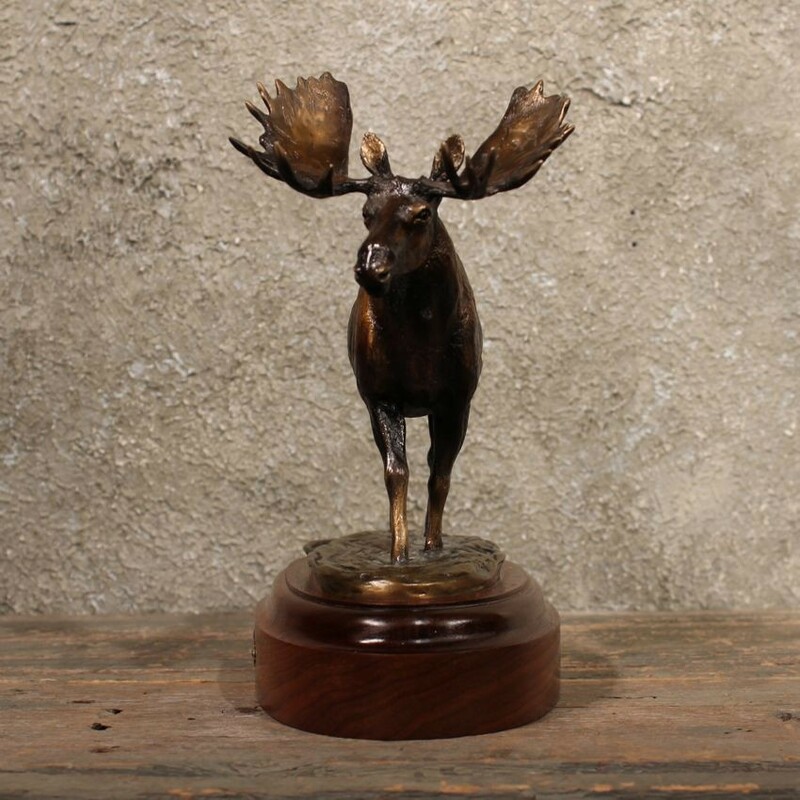 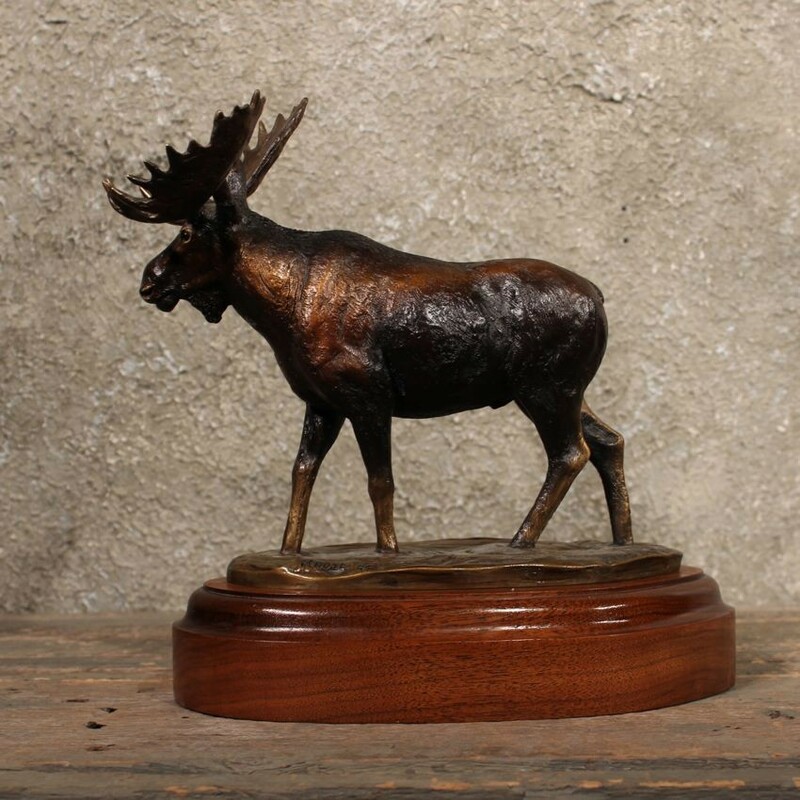 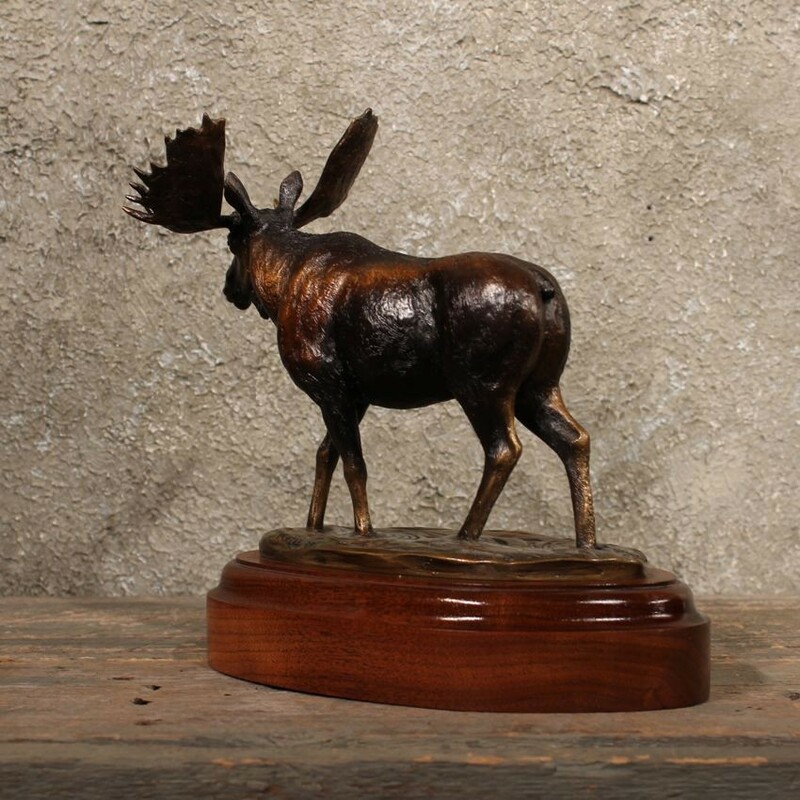 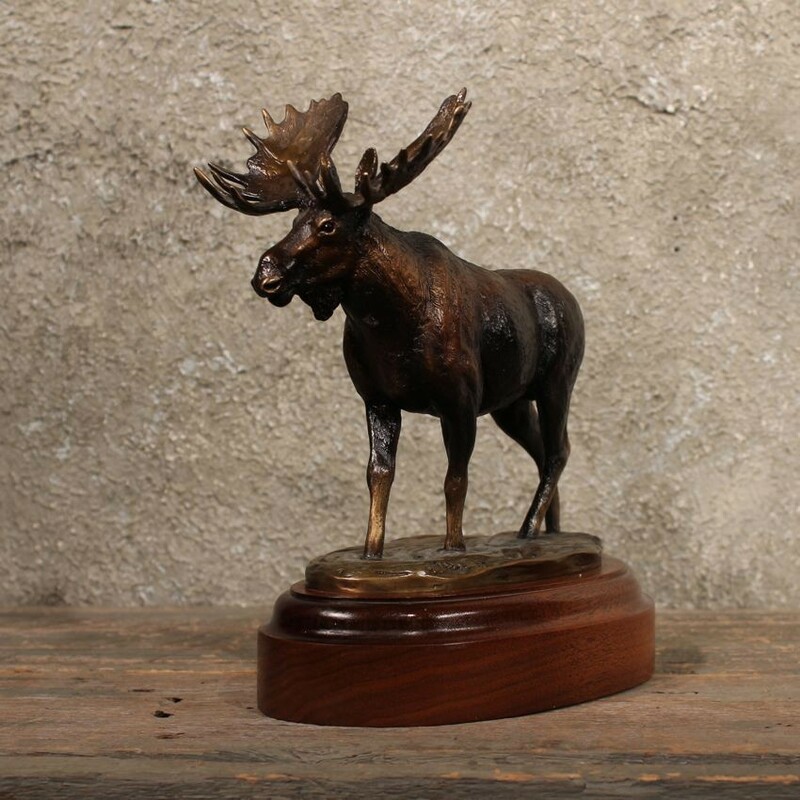 This is a great Rick Taylor Moose Bronze. 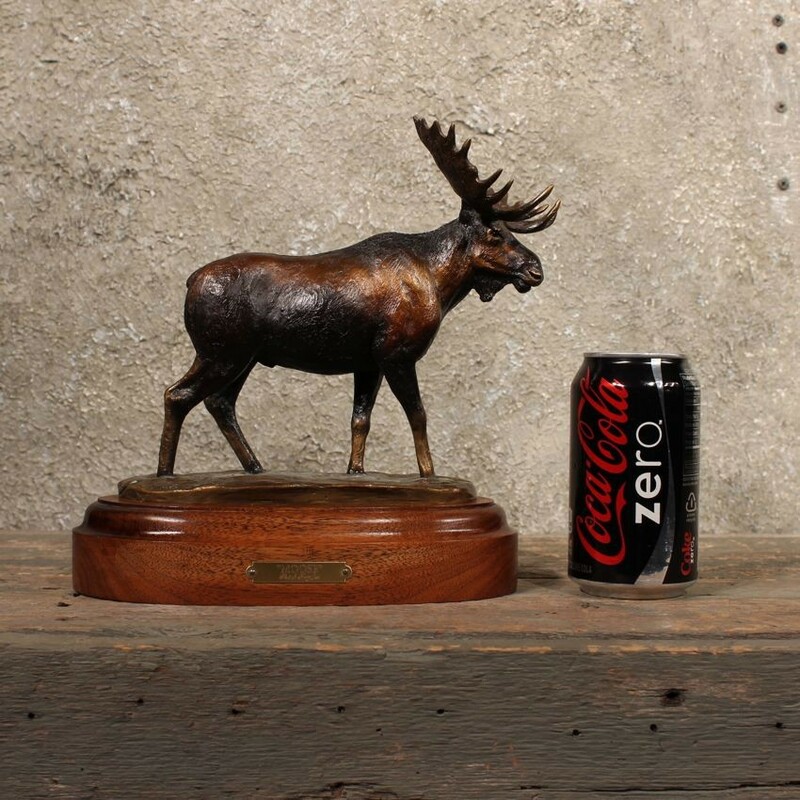 This is an outstanding sculpture from the world renown artist. 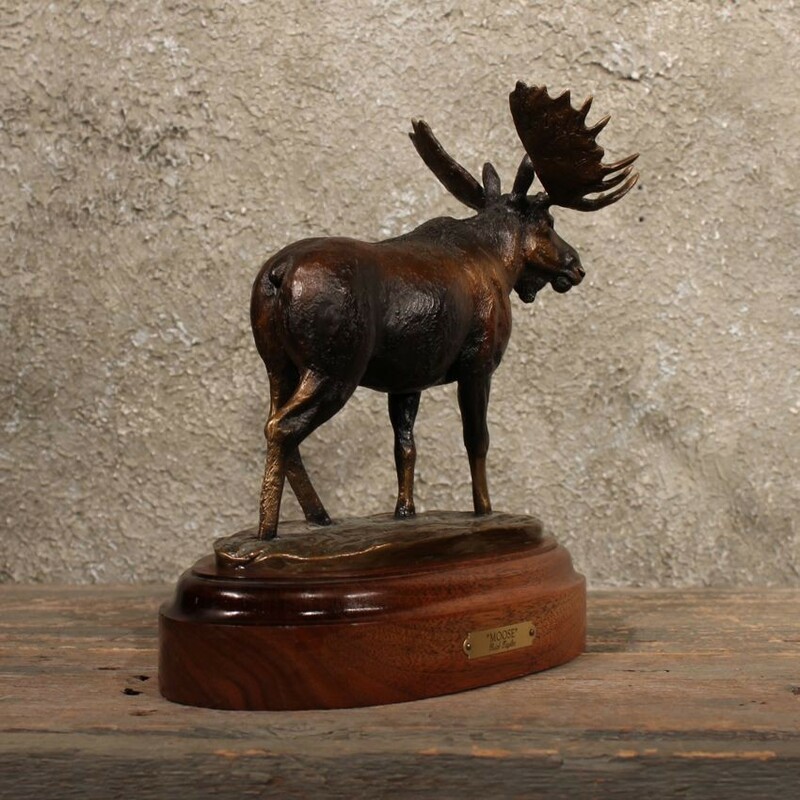 It comes on a small wood base. 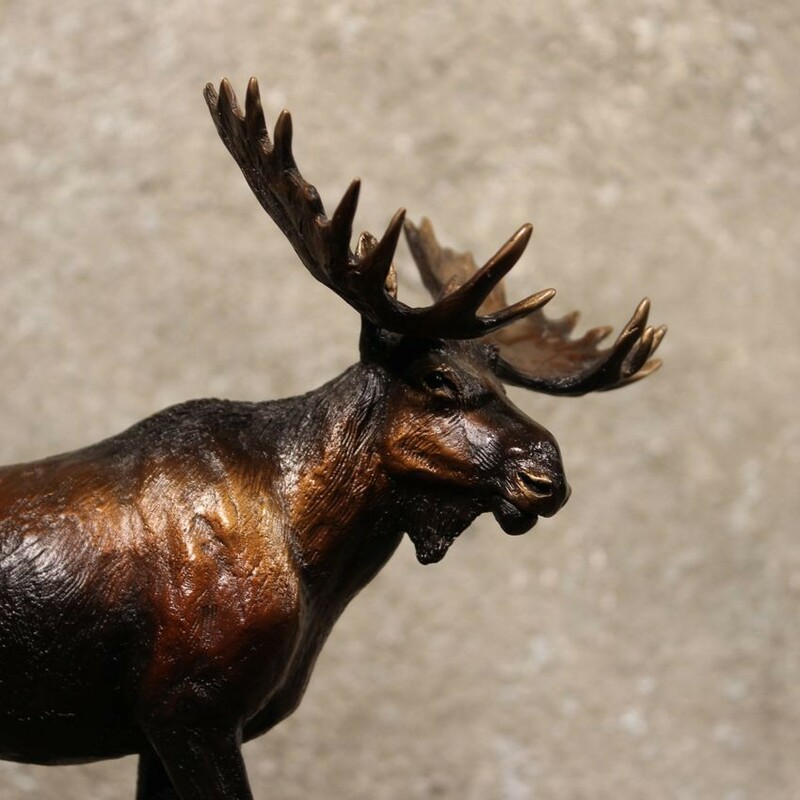 Rick Taylor is a renowned artist of wildlife sculptures. 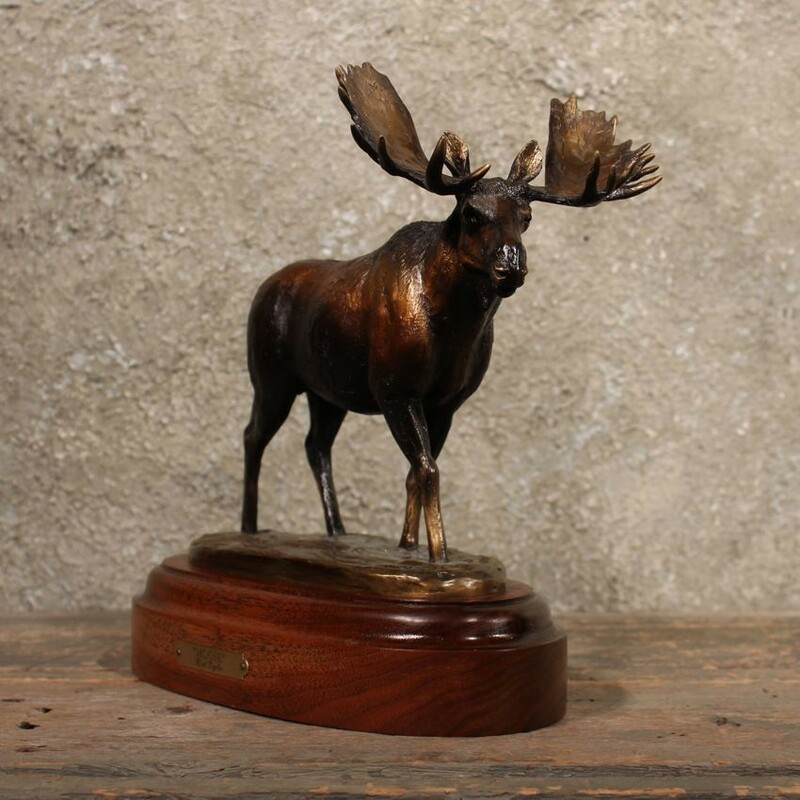 His vast line of bronze sculptures are widely recognized and appreciated by collectors world wide. 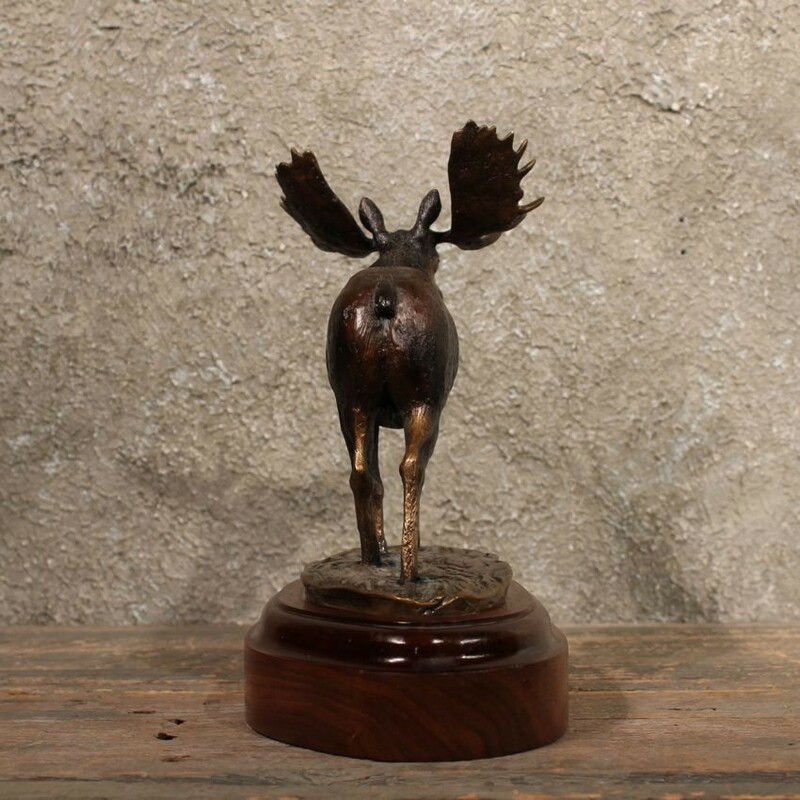 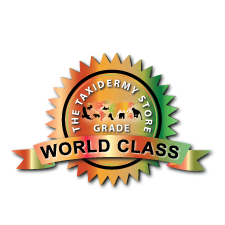 His animal sculpture subjects come from around the globe, though his primary and favorite species is large Rams and Sheep.